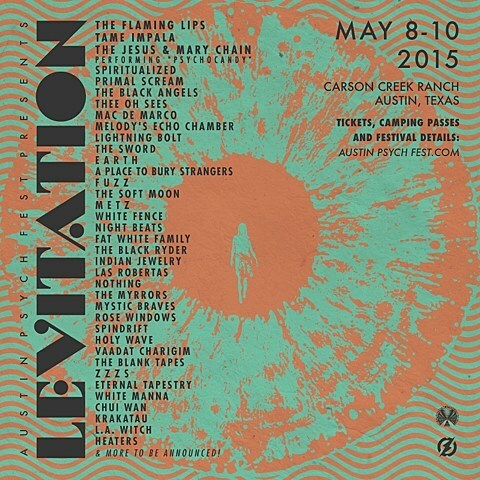 The annual Austin Psych Fest, which they’ve renamed “Austin Psych Fest presents Levitation” (more on that below), happens this year from May 8-10 at the Carson Creek Ranch. The initial lineup was just revealed and it’s looking pretty crazy. There’s The Flaming Lips, Tame Impala, The Jesus and Mary Chain (performing Psychocandy), Spiritualized, Primal Scream, The Black Angels, Thee Oh Sees, Mac DeMarco, Melody’s Echo Chamber, Lightning Bolt, The Sword, Earth, A Place to Bury Strangers, Fuzz, The Soft Moon, Metz, White Fence, Fat White Family, Nothing and still plenty more. Weekend passes are on sale now and check out the full initial lineup below. 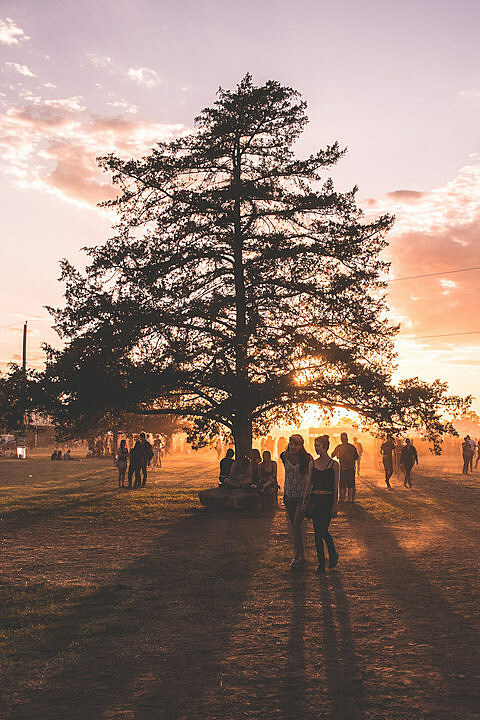 Over the years, countless other “psych fest” events have popped up around the globe – music communities all over the world are gathering together and celebrating music and art together. This is an amazing thing and we are proud to be a part of it. In 2015 we are redefining what we’re doing with a renewed focus on the music we love, and to mark that change the festival is taking on a new name: LEVITATION. The title comes from one of our favorite tracks from Austin legends The 13th Floor Elevators, who have provided us with endless inspiration. Their music and message transcended genre – they were true innovators. The APF folks have been doing a sister festival in France called “Levitation” since 2013.